For me, this is one of the greatest mysteries in music-making. So I went to listen to a masterclass of Ferenc Rados, doyen of the Hungarian piano school and legendary teacher of people like Kocsis, Schiff and Ránki. When the students played, it was (quite) pleasant. When Rados played, I heard real music. His most frequent remark was “Here I am lost – I do no longer understand what is happening”. Then, he looked into the score and showed the student how the piece was structured. He dissected it like a pathologist gleaming over an unusually slaughtered corpse. He shocked members of the audience by saying we all made the mistake to assume that music should be filled with our emotions, whereas it should simply function. “Music is function and nothing else”. Thus, we should not think about playing a piece with feeling but focus on making it work. Naturally, he was provoking but I think he was right in pointing out a fundamental thing: before you don’t know how the piece works and before you cannot render that audible, there is no point to waste your time on interpretation. And he achieved the most amazing effects – “simply” by being precise with rhythm and tempo, by bringing out the right voices, by articulating properly, in short, by reading the score closely. I thought to myself how wonderful it must be for these people to read and reread music. Just like we “normal” people reread books by Tolstoy or Jane Austen and find wonderful new things in them every time. Naturally, what we see in a piece of music is subjective. Nikolaus Harnoncourt said “We see in a score what we want to find.” However, Cecilia Bartoli says that it is better to go to the manuscript and look at what the composer wrote in his own hand rather than how copyists or editors saw them centuries later. And I have discovered such misinterpretations myself. But Rados seems to suggest to shut out our feelings – and therefore subjectivity – and use logic instead. The way he argues how notes in a melody belong together or not, which voice to bring out or how to articulate, is based on the logic of the pattern you see in a score. It is fascinating to observe him do it in the manner of a natural scientist. Presumably, this approach lets you get nearer to the composer’s intention rather than superimposing your own emotional – possibly false and certainly totally subjective – layer on top. I have always thought that the way a performer crafts melody and harmony determines the success of an interpretation. But recently, I have come to the conclusion that all that counts is rhythm. In Rados’s lessons this was a major issue. Actually, the first time I felt enlightened in this way was about 10 years ago when I had the fortune to observe conductor Giovanni Antonini develop his revolutionary vision of Bellini’s opera “Norma”. He simply placed the rhythm back where it belonged, thereby changing phrasings we had been used to all our lives but turned out to be wrong. In many cases this had an effect on the tempi - and you heard a new piece! Which sounded, however, like the one and only. Naturally, musicians who spend much time with the baroque repertoire have taught us much about metre, rhythm and articulation. And so have people whose musical knowledge is still deeply rooted in folk music, as is the case of the great Hungarian maestros or many Russian musicians who started out playing folk instruments when they were children. They are not glued to the metronome’s strict 4/4 or ¾ beats as most of us are but think far more freely. 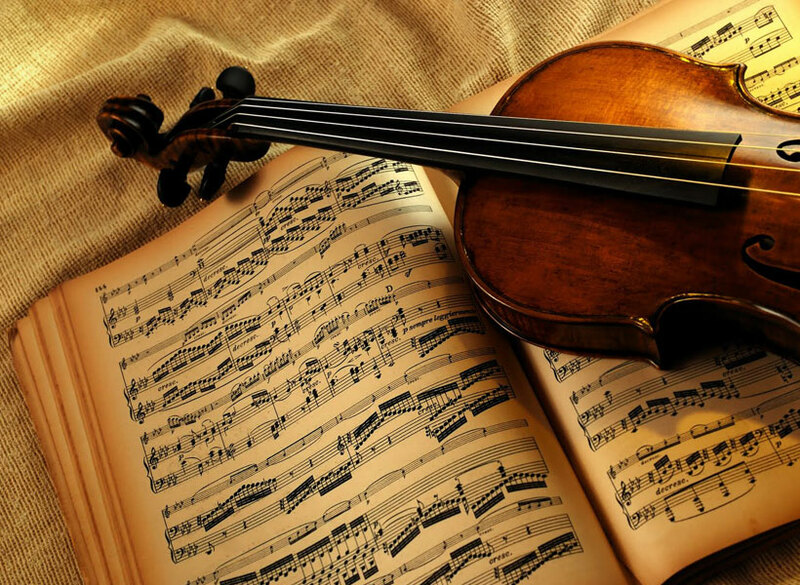 They are precise in keeping to the metre but free with their rhythm which moves with the flow of the words, the melody, the harmonic progression. When Rados made the Habanera in Alborada del gracioso lilt alluringly, you thought he had just taken you on a holiday to Cuba, and when he demonstrated how the recitative melisma in the cante jondo-style works, he beamed you back to Europe and a small tablao in Seville within a split second. And what else should music be about if not this?